Peter Briggs, the writer of the original Alien Vs. 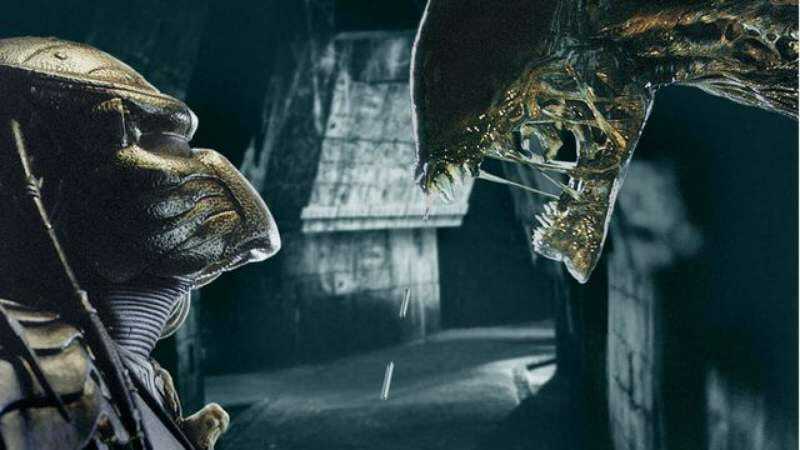 Predator script, has a bone to pick with Alien franchise star Sigourney Weaver, who called the spinoff series “depressing” at the recent London Film and Comic-Con. When asked by a fan if it was her idea to kill off Ripley at the end of Alien 3, Weaver replied, “Well, yes, because I heard that Fox was gonna do Alien Vs. Predator.” Weaver also said that Ridley Scott, director of the first Alien film, was considering making the third movie until he found out that Fox was planning to make Alien Vs. Predator. Maybe they were in a panic about Alien 3 … I have no idea. And so when I hear Sigourney Weaver recounting her killing off Ripley in Alien 3 because she’d heard Fox were talking about doing Alien Vs. Predator, despite the fact our project was first spoken about and initiated well over a year…after her movie had gone into active production, I really have to roll my eyes at her claims. I’ll also be honest that I’m less-than-wild about the two Alien Vs. Predator movies (particularly Requiem, about which the less said the better). But I do wish Sigourney Weaver would stop beating on Alien Vs. Predator as her pet piñata in “ruining” the Alien franchise, and acknowledge that two standalone Alien movies she was actively involved with unfortunately managed that first, all on their own. Briggs goes on to make probably his most controversial observation—that the Assembly Cut of Alien 3 is “more watchable” than James Cameron’s Aliens—eventually reaching his thesis that there’s “a terrific Alien Vs. Predator movie still to be made by someone. It just hasn’t happened yet.” Great, a Fox executive probably just read that and has decided to greenlight four new installments. Are you happy now, Briggs?